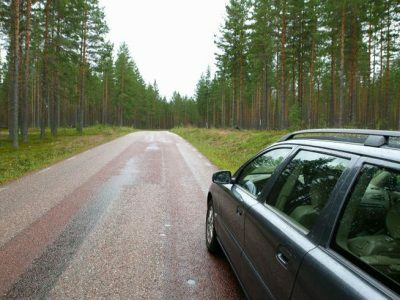 We use the services of Europcar for vehicle rental in Sweden. Please note vehicle types may vary (below are guidelines, and similar makes and models are also distributed for each category; we reserve the right to substitute an alternative vehicle of the same or higher category). Other types of vehicles available, so if you can’t find quite what you are looking for below, please contact our team of Travel Specialists. All rentals include a standard insurance policy and include Collision Damage Waiver (CDW) and Theft Waiver (THW). The CDW insurance waives liability in case of damage to the rental vehicle and the driver is only responsible for the excess charges. Excesses are charged locally in Swedish Krona. The THW insurance removes some of the driver’s responsibility in case of theft and is only responsible for the excess charges. This is an additional extra you may be offered when collecting the vehicle. PAI is an additional insurance which covers the driver and passengers in the hire car for death, disability and medical expenses. The charge varies depending on the rental company. When collecting the vehicle the car rental company will offer you to take an upgraded insurance policy in order to reduce excess. The charges vary depending on car category and rental company. This guided family adventure is set deep within the forests of central Sweden, and includes a range of outdoor pursuits such as hiking in a nature reserve, a two day canoe trip and archery.